Carrybeans | Tiny Houses, what makes it so interesting? Tiny Houses, what makes it so interesting? Ever wondered how a tiny space of mere 200 square feet can be packed with just as much storage, style and comfort as an average home? The tiny house movement is taking the downsizing and minimalist living to the next level, and we just can’t stop obsessing over this raging trend. Apart from the innovative use of limited space and budget, there are several other extraordinary features of tiny houses that contribute to their ever-increasing popularity. So, whether you are planning to take the plunge of going from 2000 to 200 square feet or are simply fascinated by these cozy looking abodes, here are some intriguing facts that’ll spike your interest in tiny houses. Ever wanted to escape from the trappings of your modern life? 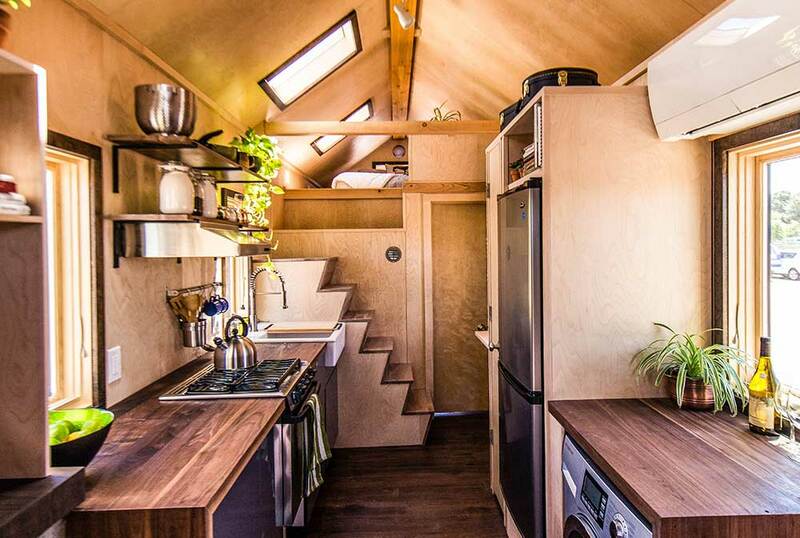 Tiny House offers the flexibility to travel around whenever and wherever you want. 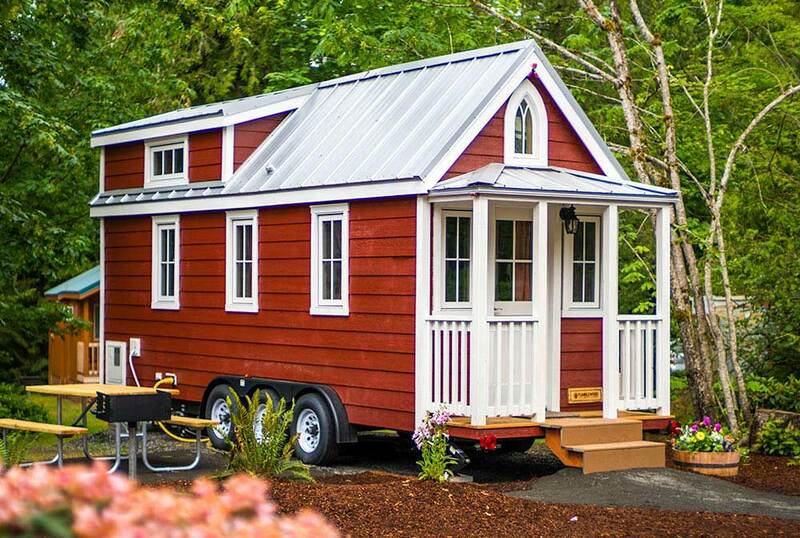 Built on trailers, tiny houses are mobile and can be taken almost anywhere. For a travel enthusiast, who prefers a nomadic lifestyle, tiny houses seem like a blessing. Tiny home’s owner can travel with their home in tow and explore the world without having to leave the comfort of his home. The cost of building an average size conventional home is around $272,000. Most individuals require a mortgage to actually buy a house. On the flip side, tiny houses cost around $23,000, which makes home ownership a real possibility. Since, diminutive dwellings are affordable home owners have the opportunity to live debt-free for the rest of their lives, while the money they save from downsizing can be used to fulfill rest of their dreams. There is a lot that goes into becoming a homeowner. Apart from the initial costs of purchasing a house, there are ongoing expenses of utilities and maintenance as well. A tiny house is an economical living option since when you have a tiny house with limited space; you are automatically forced to spend less. Tiny house living focuses on self-sufficiency and requires you to downsize as you can only accommodate the basic necessities in a limited space. Lesser space = less stuff = lesser spending. Furthermore, a tiny house requires minimal maintenance over the years, which again reduces your expenses. Another benefit of having a tiny house is that they can be built wherever you want. Did you know that there’s a tiny house in Hawaii built on lava fields with an active volcano as a neighbor? Yes! Tiny Houses are that versatile when it comes to selecting your neighborhood. You can build them almost anywhere, provided your permits are in order. One of the most interesting virtues of a tiny house is that it is a relatively low-commitment venture. Tiny homes can be easily sold or rented when required. Such homes are especially a great option for millennials who prefer freedom and flexibility. Having a tiny house allows young individuals to effortlessly switch between cities while they pursue their ambitions and aspirations. Despite the limited space and other challenges, tiny house definitely makes a compelling proposal. So, would you be willing to downsize into a tiny house after reading all of these impressive benefits? Share your views on tiny living in the comment section below.